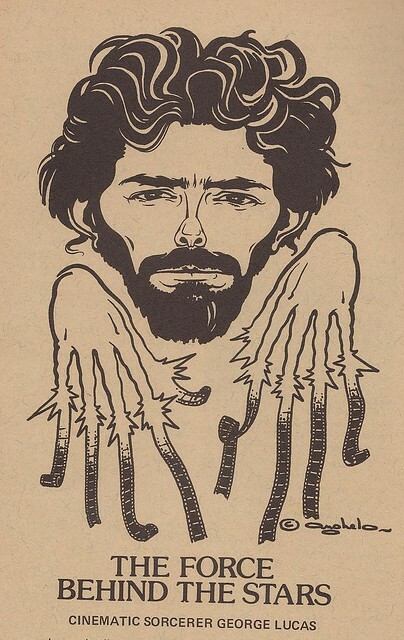 Click to enlarge and play "Where's Lion Man?" 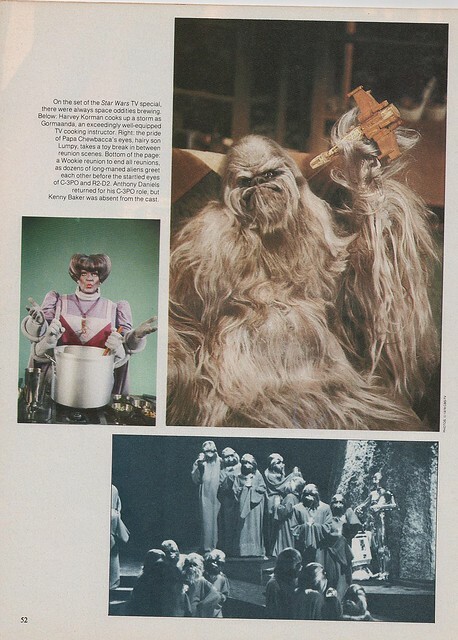 I have only watched the Star Wars Holiday Special in its entirety once: The night it aired – my eighth birthday. "Da-aaad! My X-Wing stopped making the laser noise again!" Thank you for being a friend in this wretched hive of scum and villainy. I love this. Why wouldn't I? 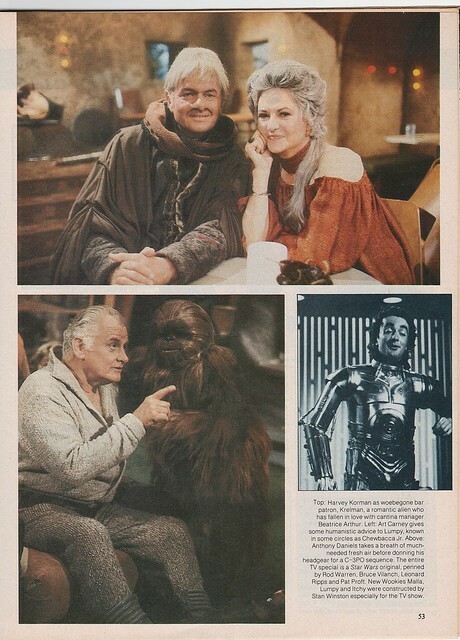 Even aside from the Holiday Special content, there’s loads of stuff in these pages that I would have loved as a kid – and still do. I mean, just look at the cover contents again: the animated Lord of the Rings, Superman, Mars volcanoes, Buck Rogers and Battlestar Galactica. 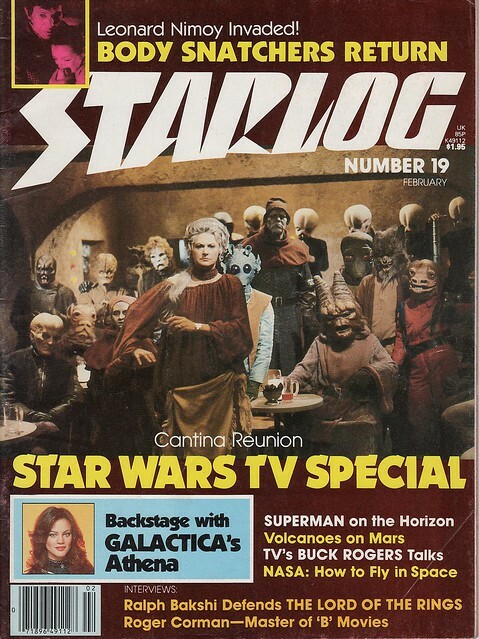 Funny thing, though: I didn’t read Starlog when I was little. 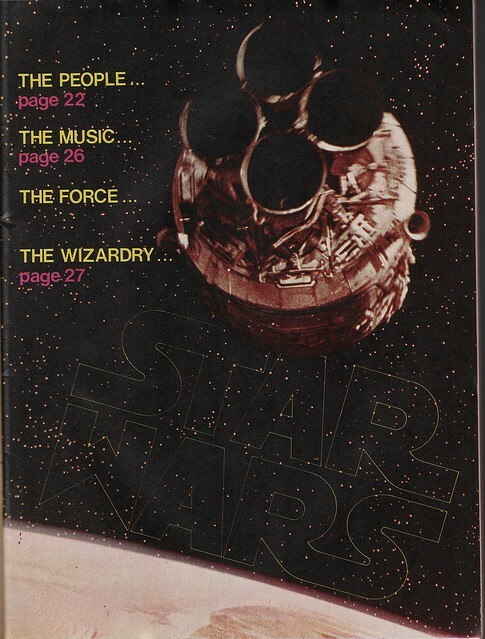 I remember flipping through it occasionally in the Waldenbooks at Belden Village mall, but I never actually bought a copy. 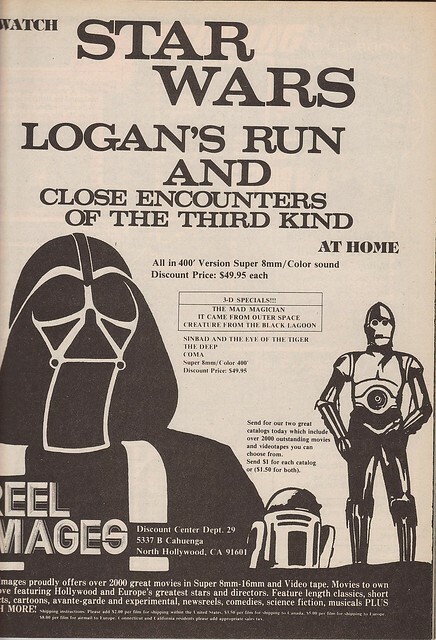 No idea why, other than I suppose if I had $1.95 to spare, it was going toward an action figure. But another man never would have let her go. / I stashed the bill in my shirt. My wife never got to meet my Dad, but I told her this story a long time ago, and I’m not sure we’ve ever heard “Hello” and failed to insert Dad’s comments. Well, I mean, it’s got my name – which is also my Dad’s brother’s name – right there in the title, which Dad always pointed out, and it’s a Beach Boys song from arguably their best and most influential album, so there’s that, too. My parents graduated from high school in 1965, so the The Beach Boys were a big part of the music I heard when I was little, and they later became the first musical act I saw perform live when I went with my parents to Blossom Music Center in my early teens. I remember hearing this song for the first time because we were in the car and Dad made a point of telling me all about how long the song was, and how parts of it were about Buddy Holly’s death and other parts Don McLean had just explained as having no meaning at all. The song stuck: When I was old enough to drive, I went to the mall and bought a $2 cassette version of it from a bargain bin at Camelot Music (look it up, youngsters) and was disgusted to find it included the cut-in-half “part one” and “part two” single versions. And when I took to hanging index cards with quotes and song lyrics on the inside of my high school locker door, verses from “American Pie” were there. It’s still a favorite – an absolute gotta-turn-it-up in the car, and if I’m alone, crank it to eleven, sing along, get those adrenaline shivers and remember my Dad. 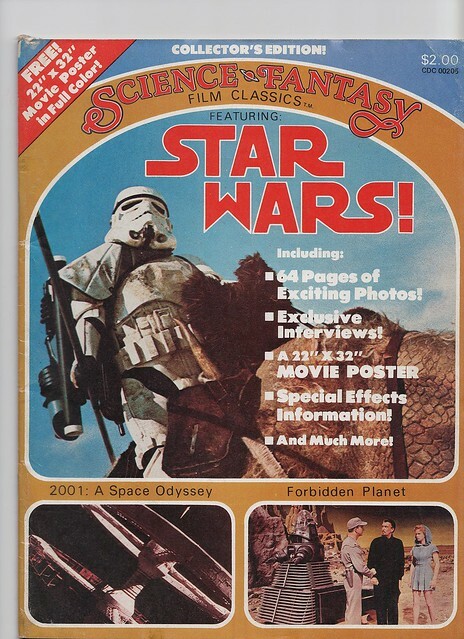 One of the details I loved in the background of Super 8 was a 1970s-era Warren Presents science fiction magazine which looked a lot like the ones I used to find in the cheap bins at comic book stores. I love that the escape pod overlaps the logo, like it's in front of the letters. 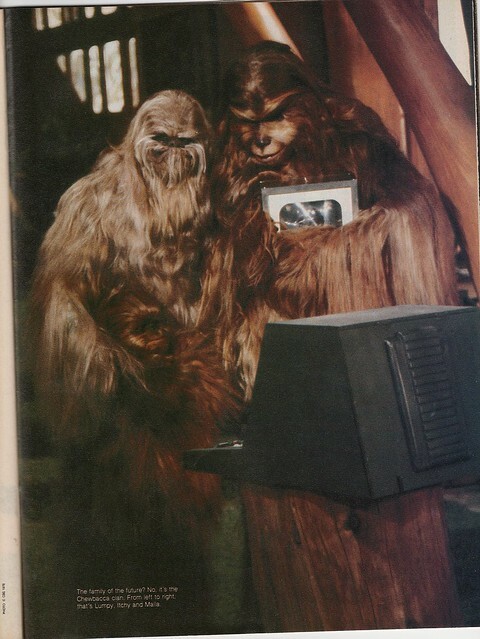 Man, were the '70s weird. Art by Michael Stein (art director of the magazine), coloring by Jeff or Geff or Geoff Darrow (it’s spelled all 3 ways within the pages), this works in elements from all three classic movies mentioned on the cover. I struggled to get a good photo without a flash – the creases and the glare made for terrible glare otherwise – so the yellow appearance is actually an effect of the lighting. 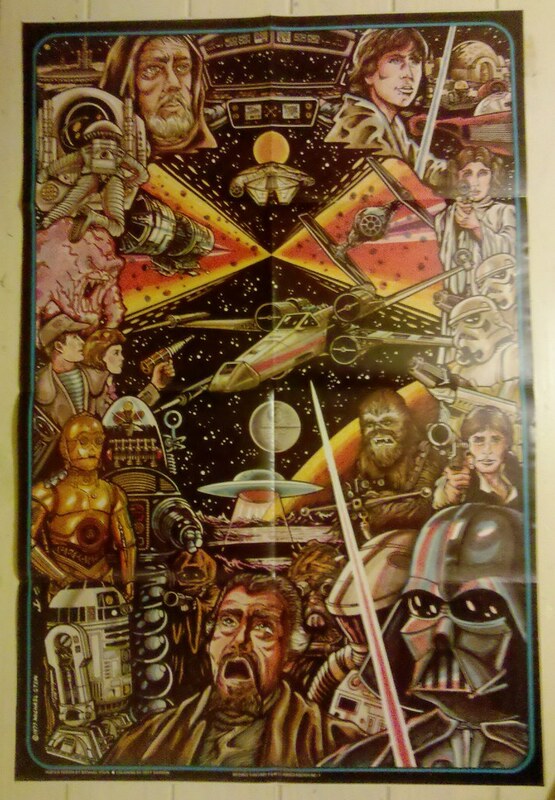 The glossy poster’s colors are really eye-popping in reality, but I think this still captures the feel of the era and the fandom nicely. And that’s why this isn’t really a review of the movie. Other people have said the things I think – the best reflection, I think, being the opinion that what makes J.J. Abrams’ blatant homage to the likes of E.T. and Stand By Me and The Goonies and Jaws work so well is its complete sincerity, delivered without clever winks, nods or half-smirks. And I agree with the most positive reviews, although I admit that while I utterly loved it, I the story also never gave me that lump-in-the-throat moment I had expected. So why did I love this movie so much? I felt that way all through Super 8. Those houses where the folks of fictitious Lillian, Ohio lived in 1979? I’ve been in them. They were my friends’ houses and my relatives’ houses and our neighbors’ houses, whether here in Stark County or up in Akron or across the state in Upper Sandusky or down in Columbus. 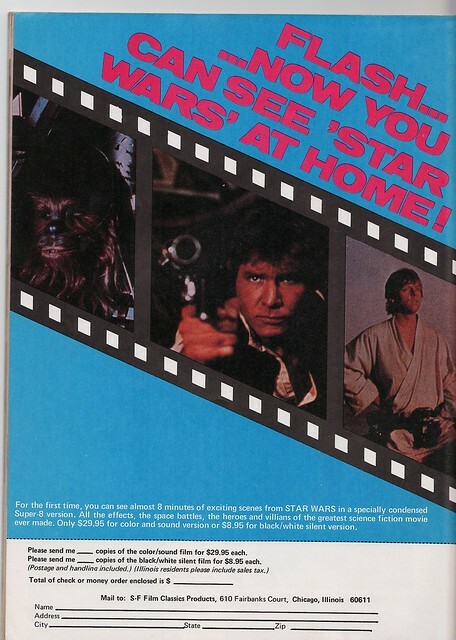 Those nerd-cluttered bedrooms, with science fiction magazines and movie one-sheets and those tiny, square glass Testors model paint bottles and the National Geographic space-shuttle cutaway posters and yes, even the occasional 8 mm movie camera and film reel? Those were the coolest. And I felt that way about so much of the movie – the characters, the dialogue and the more everyday aspects of the story: There was a genuine sense of the era and the emotions without feeling like the overt, time-period-as-story-element approach of something like Dazed and Confused or The Wedding Singer. It felt very much – even though I don’t mean this in a specific my-street, my-school, my-childhood kind of way – like home. 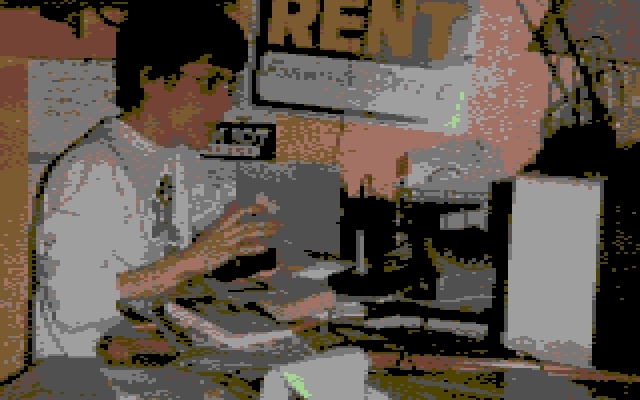 2) Completion of writing and editing duties for a soon-to-be-unveiled project. 4) North Coast Comic Con: My friend Bryan and I talked about his Giant Monsters Fighting A Lot miniatures game, Kaiju Kaos – which I’m looking forward to playing at GenCon in August – and I caught up with Sean Forney and talked about conventions and other assorted nerditry. 5) Kels & I made a frozen lasagna and Texas toast garlic bread for dinner, watched some Doctor Who while we ate, and followed up with fresh brownies she made as a surprise while I was at the convention. 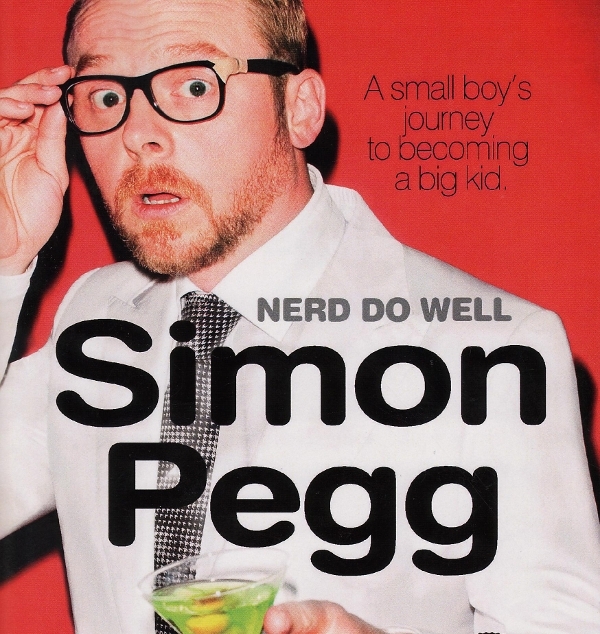 I just finished reading Simon Pegg’s biography, Nerd Do Well, which I reviewed over at GeekDad. And while I didn’t want to mention Collect All 21 in that review (there are limits, believe it or not, to my shameless self-promotion), during the Star Wars-related parts of Pegg’s book – and there are many – I found myself smiling at the similarities in the original trilogy’s impact and memories and impressions their place in the childhood landscape of so many of us former ’80s kids.